“Why Do I Feel Empty?” Do You Want to Pursue Your Passion Without Quitting Your Job? 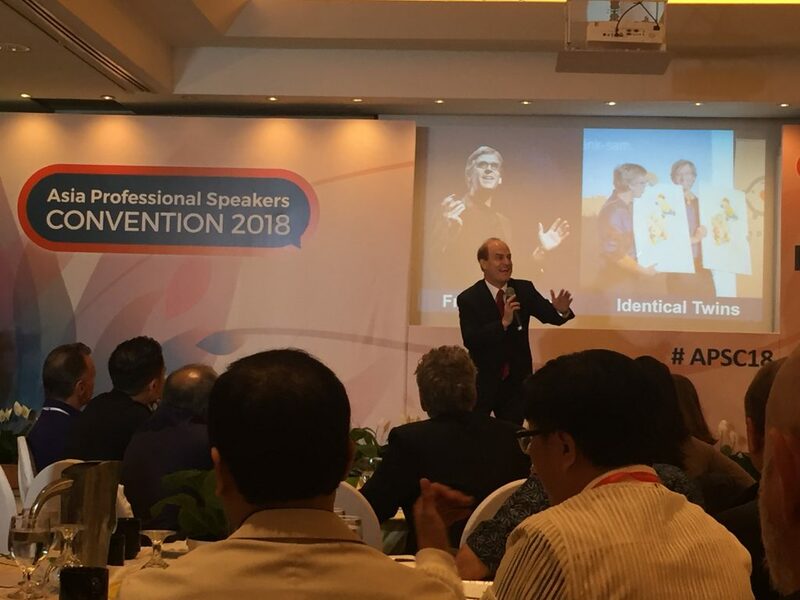 On May 10-12, 2018, I flew to Singapore together with eight other delegates from the Philippine Association of Professional Speakers (PAPS) to attend the Asia Professional Speakers Convention. 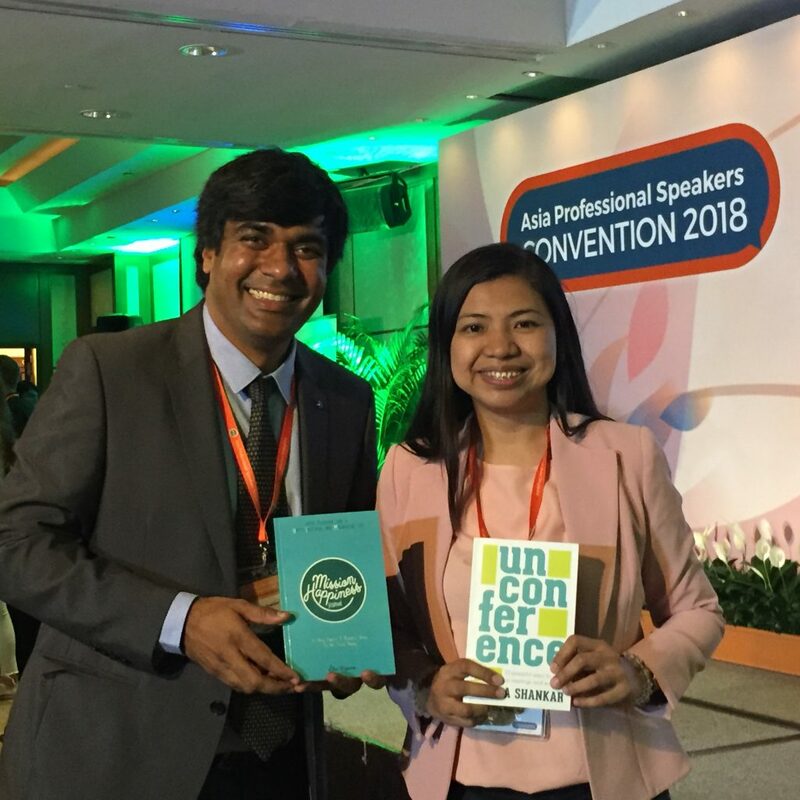 Before I share with you the five things I loved about the Asia Professional Speakers Convention, let me thank two of my friends who inspired me to attend the convention. 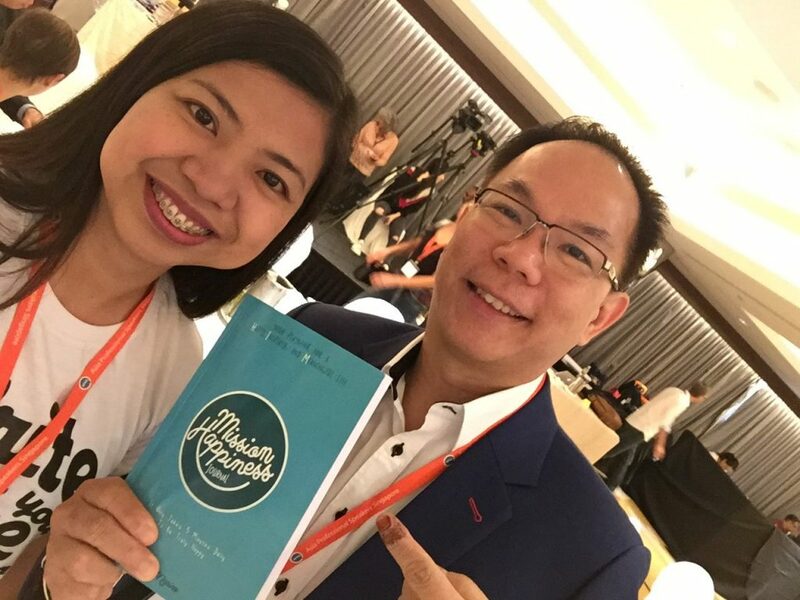 I’d like to thank my friend Coen Tan, an international speaker and trainer based in Singapore. 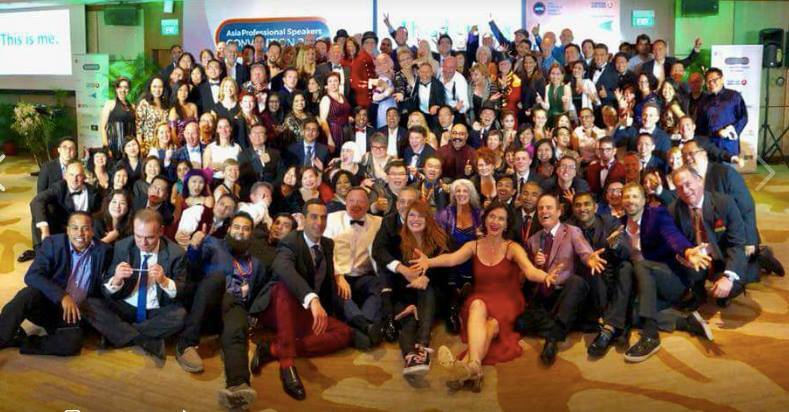 Coen and I met at the Toastmasters International Convention in Kuala Lumpur Malaysia in August 2014. Since then, we became friends. I even flew to Singapore last year to attend his wedding. 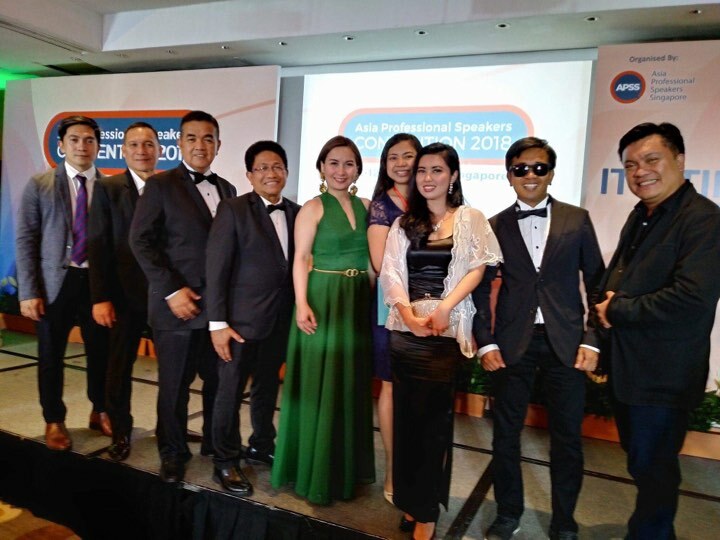 First, it was truly a global gathering of international speakers from 26 countries all over the world. I am so grateful and honored to be surrounded by the celebrities in the speaking niche globally. Second, I loved how the organizers of the convention put attention to details. The venue, food, stage decor, program, and everything else in between was well planned and well taken cared of. True enough, they served AM PM snacks, buffet lunch, and 4-course meal dinner. I felt pampered and loved. Special mention and big thanks to the convention chair, global speaker Fredrik Haren, his wife Elaine Haren, Irene, and his entire team for making the convention so worth our time and money. Third, I specifically liked how the audience members treated all the speakers with respect and honor. 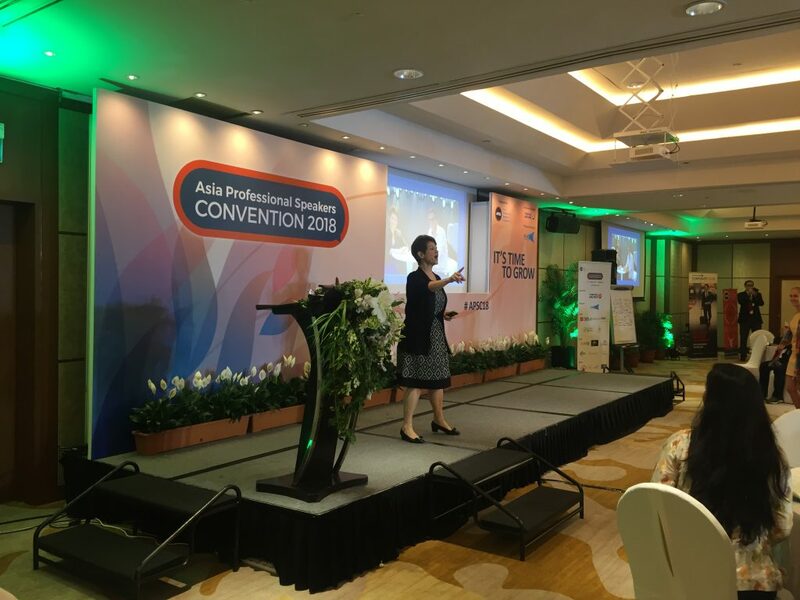 The audience was a mix of seasoned and top global speakers as well as newbie international speakers. 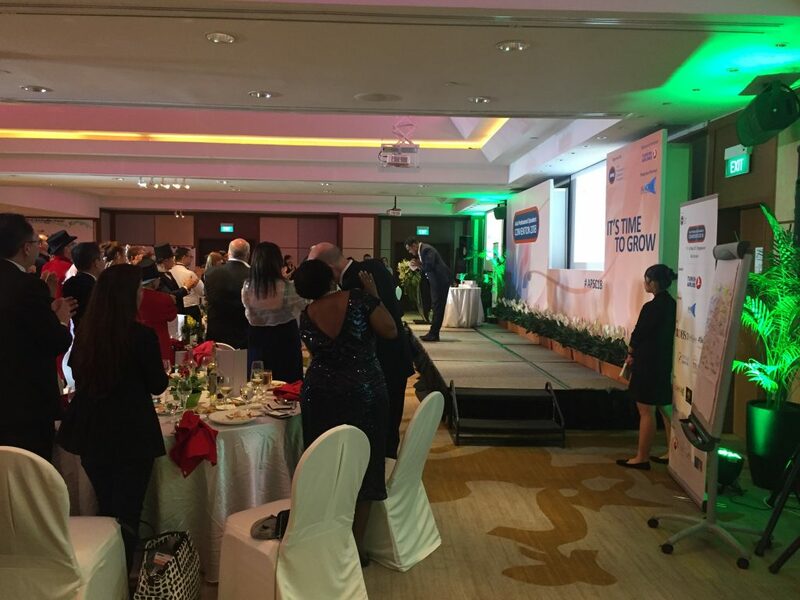 Every speaker was given a standing ovation. 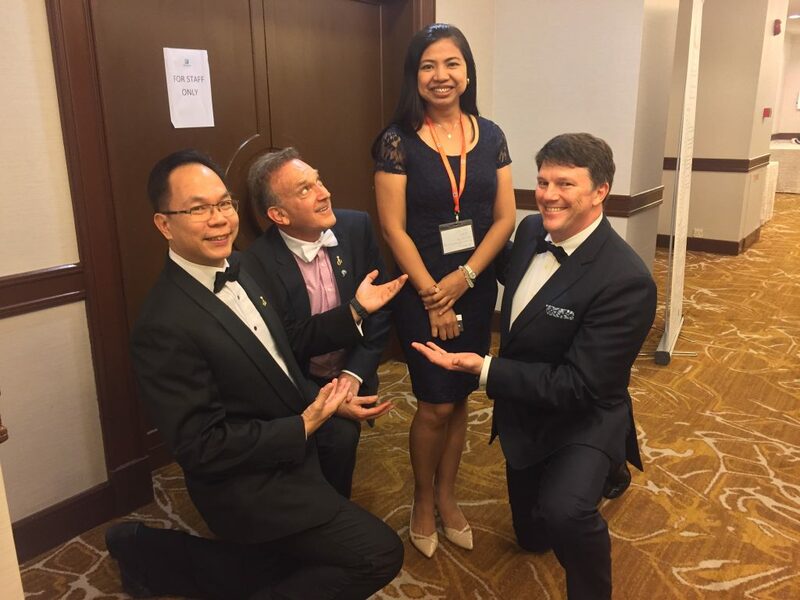 Shirley Taylor — she’s the current president of the Global Speakers Federation. She was so warm, motherly, and down-to-earth. Fredrik Haren — this guy was a true servant leader. He is one of the highest paid and most booked global speakers but he silently worked behind the scenes as the conference chair. Jonathan Low — he was the former president of the Global Speakers Federation. I had a chance to interact with him during the break and he took time to ask me what I speak on. I asked for his advice and he generously shared some tips. Scott Friedman, the founder of the Global Speakers Summit and Tim Wade — cool global speakers. Fifth, I loved the speakers, the hosts, and the panelists! I am so grateful for the insights all of them shared. I would like to highlight the speakers whose messages resonated with me. Ron Kauffman — he is the world’s leading speaker when it comes to customer service. He didn’t only share how to do excellent service, but he showed it through his example and generosity. He gave each delegate two free books! Wow! Talk about going the extra mile! Shirley Taylor — I loved how conversational her speech was and the rapport she built with the audience. James Taylor — this guy is a genius! 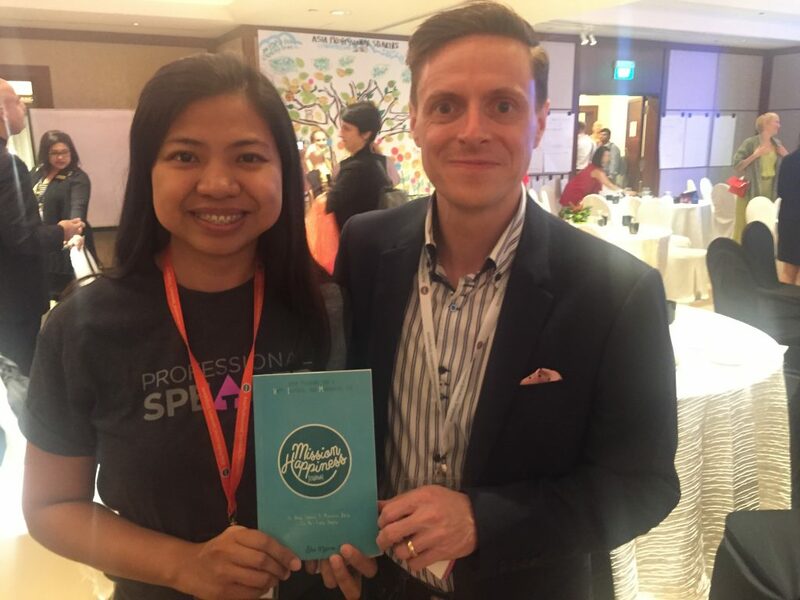 James is the founder of the International Speakers Summit and he shared his insights on how to use Artificial Intelligence to grow your speaking business. He also generously shared the behind-the-scenes of his International Speakers Summit. After his talk, I got to talk to James and asked him some technical questions which he generously answered. Thank you, James, for giving so much value. Brenda Bence — I am so grateful and blessed to have witnessed a really WORLD-CLASS speech. 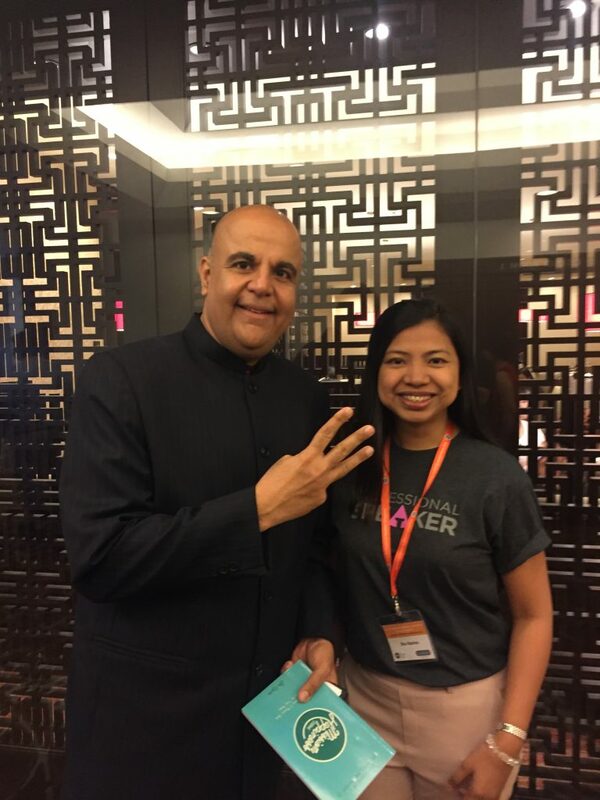 Brenda showed me how a world-class professional speaker speaks, thinks, and behaves. I’ve found my female model/peg when it comes to global speaking. I loved her speech. I sensed her authenticity and the amount of preparation she put in, which showed how much she loved the audience. She not only inspired me thru her speech, but she also gave me actionable items I can work on right away to level up my speaking profession. Kiruba Shankar — his style was unique and refreshing. He calls it the “un-conference.” He was an expert in it. 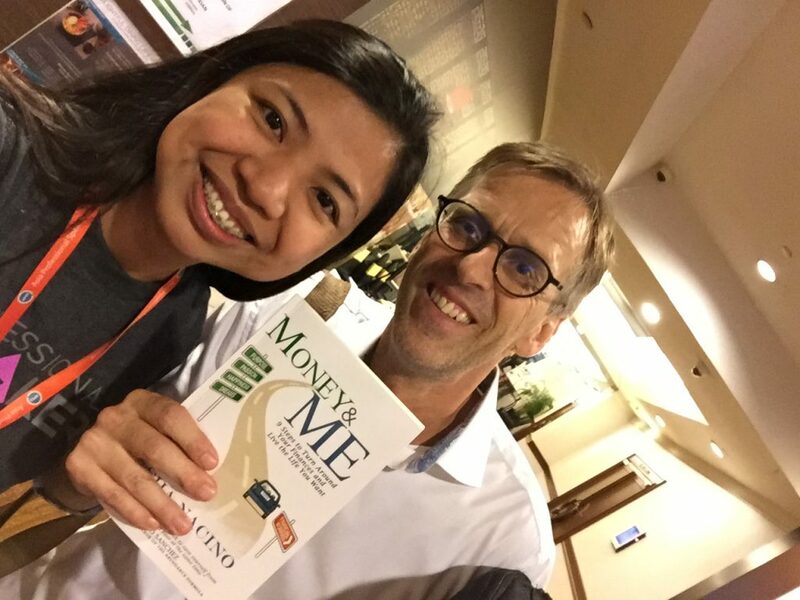 I raised my hand, gave a 30-second impromptu speech, and got his book as my reward. I was very happy! 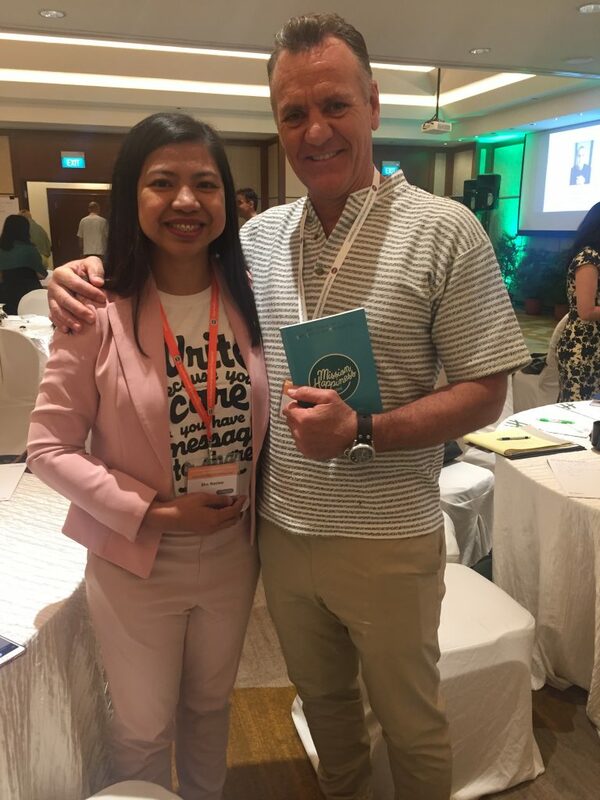 Rusty Labuschagne — His topic was “The Power of Powerful Stories.” He was given 10 minutes and his speech and the way he delivered it was so powerful, everyone was held captive. “Yes, Mel Gibson,” I answered. When he walked on stage to deliver his talk, I had goosebumps. No wonder why he looked so familiar. I chanced upon his video on Goalcast a few days ago! Here’s the link to the video that has garnered over 3M views as of this writing. Vikas Malkani — he is the “Wisdom” guy. His talk was only for 20 minutes but he was able to share powerful words of wisdom illustrated through his superb storytelling skills. Brian Walter — I think he is the most witty and entertaining panel moderator I’ve seen so far! 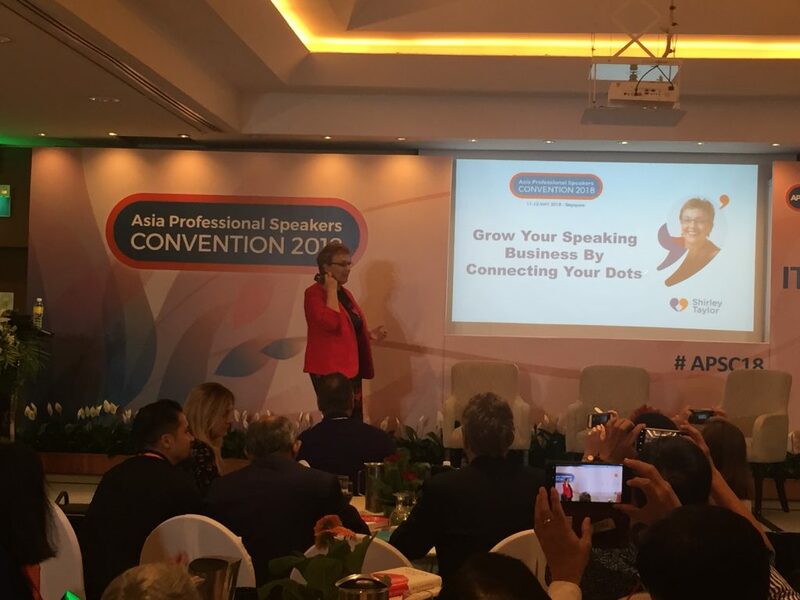 Overall, I loved my experience at the Asia Professional Speakers Convention. I wish I can write a detailed account from all the speakers I heard. 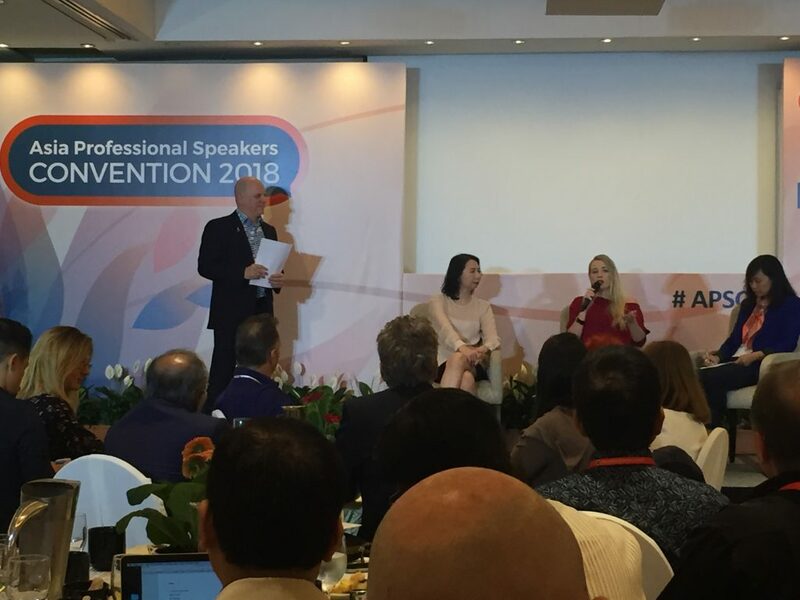 I am so grateful and happy to have attended the Asia Professional Speakers Convention. 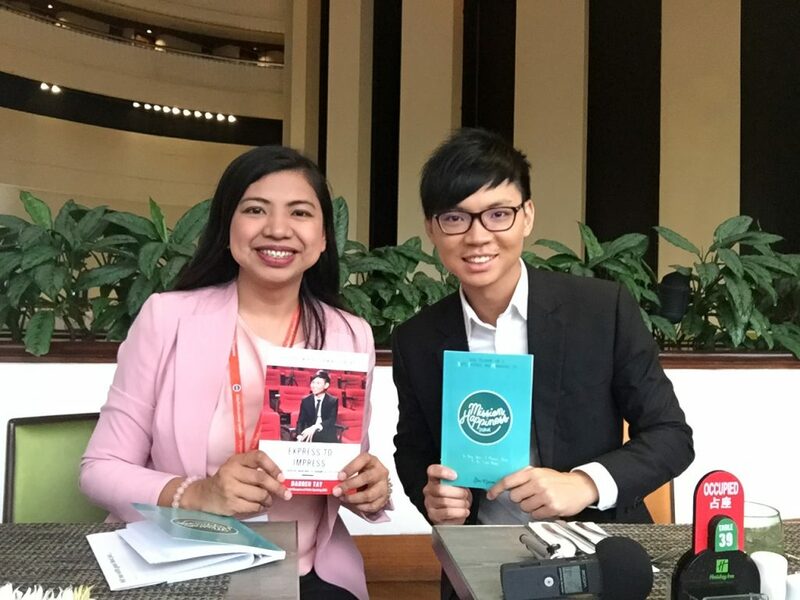 One of the highlights of my Singapore trip was meeting and interviewing the 2016 World Champion of Public Speaking Darren Tay. When it comes to public speaking, this guy is the person to talk to. He’s brilliant and down-to-earth. Special thanks also to Jo Marquina for lending me her power bank, my friend Monica for treating me to lunch, my home in Singapore — Jay, Rona, Weng, and Mitch, my new friend Janelle and her hubby Kenneth, and PAPS Lloyd, Toni, Rock, Orly, Billy, Rudyard, Sir Fave, and Michelle. Blessed also to meet Tom Abbott, Jerome Joseph, Andrew Senduk, Paul Niel, Pamela, Deborah, Andrew, and everyone I met at the convention. It was an honor to meet all of you. Thank you! Thank you! Thank you! My heart was filled with gratitude, love, and joy. I wished I could have given everyone a copy of my book as a little token of thanks but I only brought 12. 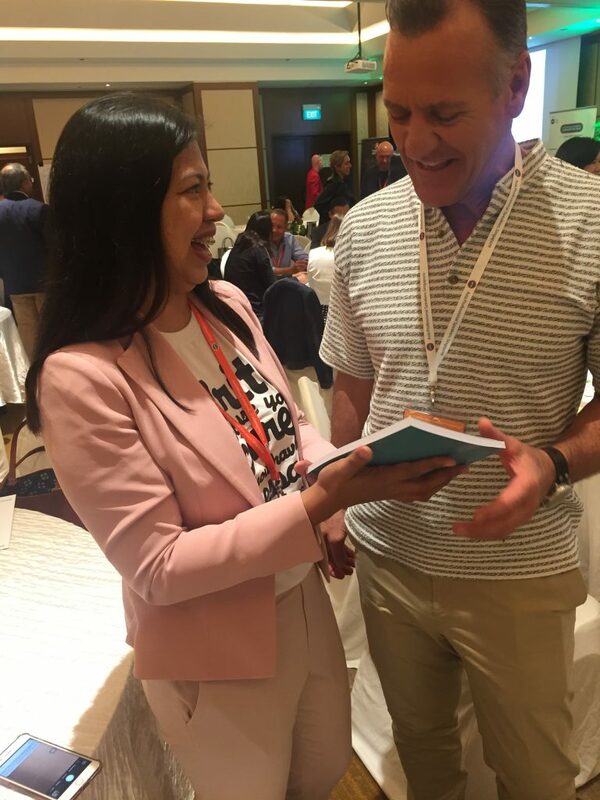 The act of gifting my Mission Happiness Journal and some of my books to these global speakers was such a beautiful experience. 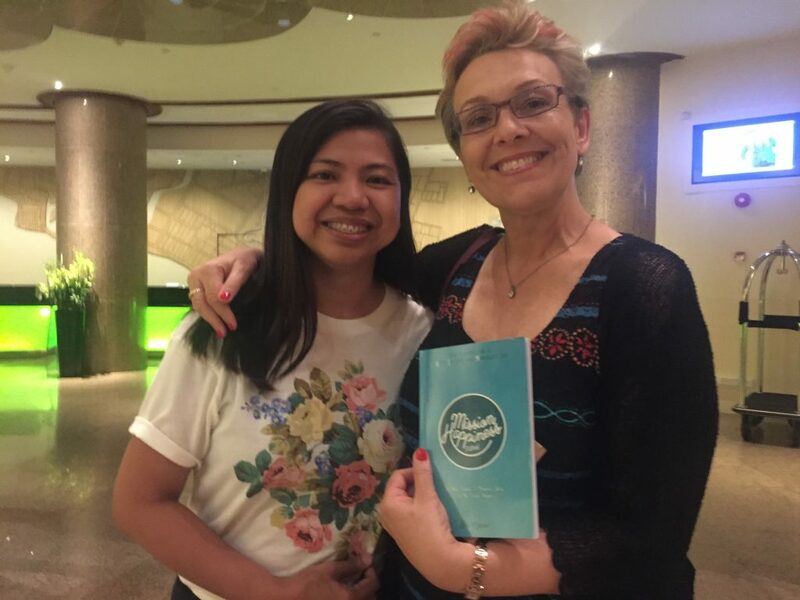 Thank you so much Maam Sha for being generous in sharing your God given talents and gifts especially to our fellow filipinos in need of financial education..God bless all your efforts and future endeavors! !